"With the result ultimately meaningless, the Ireland manager has floated the possibility of making changes yet the percentage call is that the under pressure boss will try and make his team difficult to penetrate." Monday's encounter between Denmark and Republic of Ireland is of no consequence to either side. Martin O'Neill's team have been relegated from League B of the UEFA Nations League with a game to spare and deservedly so. Denmark's slick victory in Cardiff on Friday guarantees them promotion and top spot so there is nothing at stake in the Aarhus encounter. This makes things slightly tricky for punters. It leaves open the question of whether either Danish supremo Age Hareide or O'Neill will opt to experiment with a view to the Euro 2020 campaign proper which kicks off in March. Key Danish players Kasper Schmeichel and Thomas Delaney are suspended. The Republic of Ireland were dreadful in Thursday's draw against Northern Ireland. The recommended bets of a lay and Under 1.5 Goals looked like safe propositions inside 15 minutes. There was almost an inevitability about the scoreless draw that followed. In truth, the only threat came in the form of Northern Irish attacks with Darren Randolph preventing the locals from suffering a defeat. With Christian Eriksen in their ranks, Denmark are a much more dangerous proposition. He was unavailable for last month's scoreless draw in Dublin where O'Neill tried a 3-5-2 formation for the first time in a competitive match. He says it has provided defensive solidity that was absent before, but the counterpoint to that is that it hasn't really been tested. Wales came away with a 1-0 win courtesy of a Harry Wilson free kick - Gareth Bale was absent from that match. Eriksen tore Ireland apart in last year's World Cup playoff between the sides. O'Neill hopes that a congested midfield will help to curb the influence of the Spurs playmaker - although his club boss Mauricio Pochettino would prefer if Eriksen's role was curtailed with little at stake. O'Neill would endorse that sentiment. He would also argue that Eriksen made hay in that Dublin 5-1 victory because Ireland lost their discipline and went chasing the game. With the result ultimately meaningless, the Ireland manager has floated the possibility of making changes yet the percentage call is that the under pressure boss will try and make his team difficult to penetrate because he simply cannot afford another drubbing. Public confidence in his tenure has plummeted and there were boos after the Northern Ireland match. Irish skipper Seamus Coleman spoke strongly afterwards about how players needed to 'man up' and show some bravery in the ball. He was trying to take the heat off management with his comments. But a return of four goals from eight games in 2018 - a year where Ireland have failed to hit the target in the first half of any fixture - paints a grim picture. The hosts are favourites to win this match and have actually drifted slightly since Friday with suspensions and the loss of a competitive edge influencing that. The [1.6] about a home win is actually tempting given how poor Ireland have been lately but it's a predictable call. It's worth dipping into other markets to try and find a better bet and another low scoring affair is the way to go here. 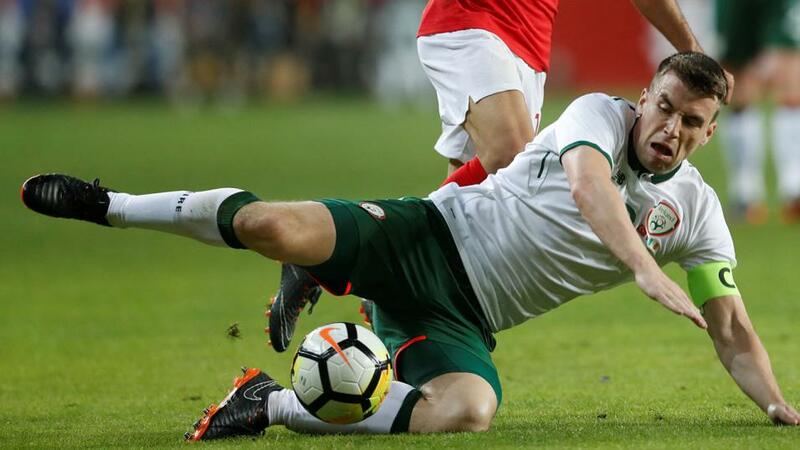 Twelve months ago, the first leg of the World Cup playoff actually finished scoreless as Ireland shut up shop and more of the same can be anticipated. Denmark found it tricky against a packed defence. Indeed, their opening strike in Cardiff came from a counter-attack against a bold Welsh side that committed bodies. The Under 2.5 Goals is unsurprisingly trading short at [1.6] and that could be a safer proposition than a Denmark win around those odds as there is the slim possibility that the guests could succeed in achieving a stalemate. But it's the [2.88] about Under 1.5 Goals that is the main recommended selection here. Denmark might want to put on a show for the natives but Hareide can be a pragmatic manager. The Republic have a strong away record under O'Neill with September's 4-1 thrashing in Wales a complete break from character. He has a stronger and sturdier side available now and they should be capable of digging in. The Draw at the interval and a Denmark win at full-time at 11/4 (Betfair Sportsbook) is also worth exploring in the circumstances. Expect a scrappy affair.